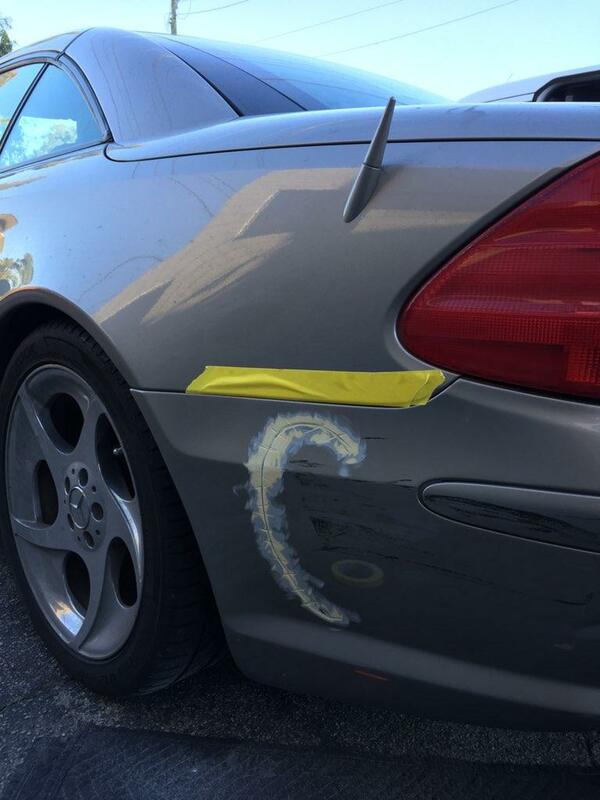 As bumper repair specialists, we’ve seen it all. From huge dents to tiny scratches, we can take on any job, big or small. 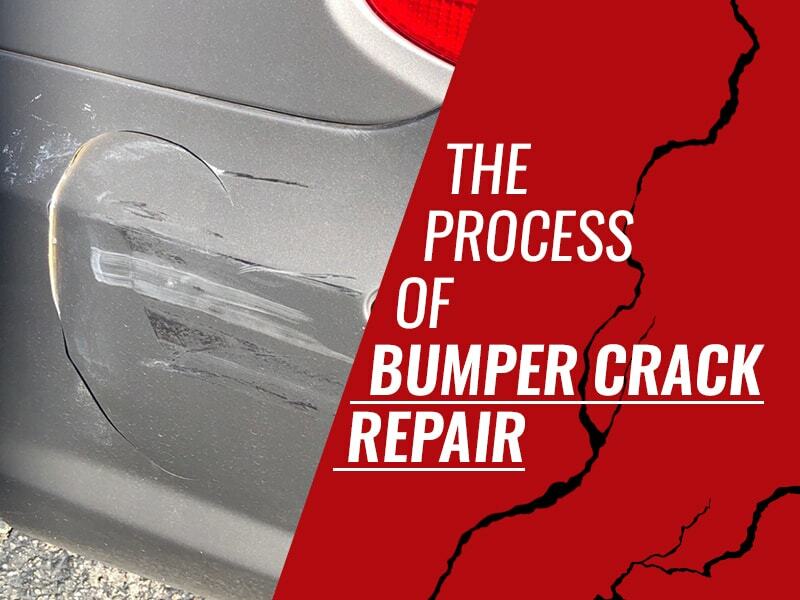 Since bumper repairs are one of the most demanded services in the auto-detailing arena, we’ve provided a quick step-by-step process of bumper crack repairs. The first course of action is to clean the impaired area and sand away the paint surrounding the affected area to get access to the car’s panel – this process helps to get better adhesion. Once the sanding has been completed, heat will be applied to the affected area to align the crack. Administering heat onto the crack will melt the plastic back into place – allowing for each side of the crack to hold together properly. Once the crack has been fused, we apply the body filler. Depending on how severe the crack is, we’ll use several thinner layers of filler to avoid an uneven finish. 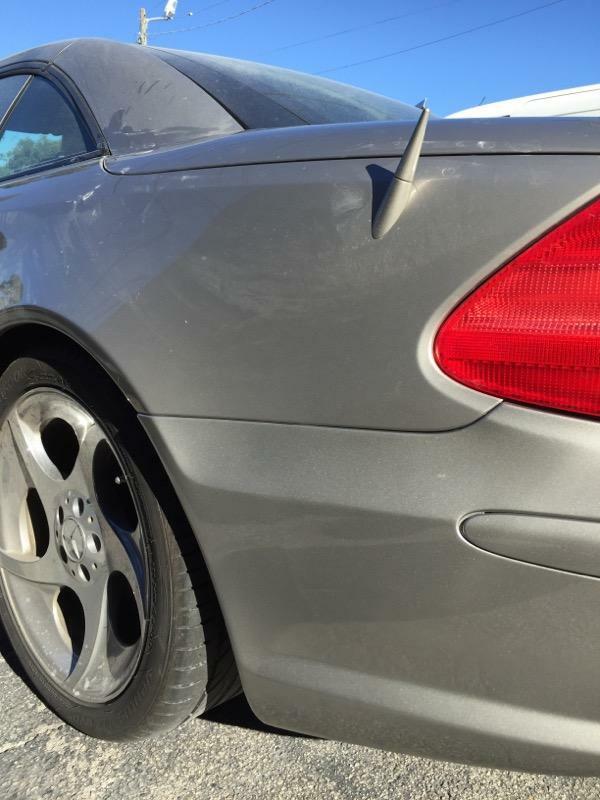 The purpose of body filler is to smooth out the surface to prepare the area for paint. Body filler typically takes about 20-30 minutes to dry. After the filler has dried, we sand down the repaired cracked area to create an extra smooth surface to prepare for the paint primer. Primer helps the paint adhere to the car’s panel, so this application is vital to a seamless paint job. Once the primer has dried, the correct paint color will be applied to the area coat by coat, until the paint is perfectly blended. A clear coat is applied as a final step in the bumper crack repair. Clear coat adds a polish and protective coat that preserves the newly applied paint. The result is a perfectly fixed bumper that looks brand new. Bumper cracks are never an easy thing to deal with. From cracks to dents, make sure to avoid the potential risks that self-repairs bring. Our technicians here at Bumper Buddies are professional bumper repair specialists. No matter the extent of the damage, one of our crew members will leave your bumper looking better than ever! Give us a call today at (888) 711-5074 for a free estimate! 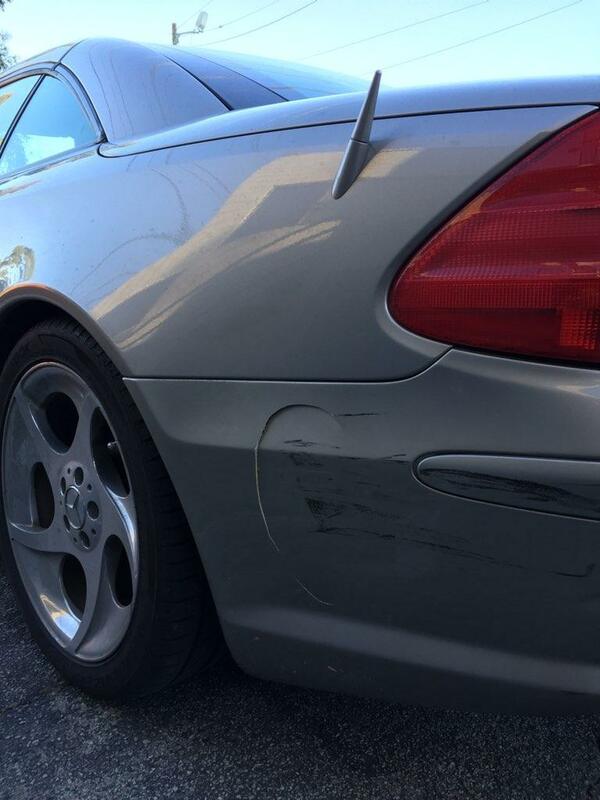 Paint Techniques for Dent Repair DIY Bumper Repair – You can do it, but here’s why you shouldn’t!